Day-to-day professional life can be made more efficient by utilizing technology to its fullest. Here’re five browser extensions from a wealth of choice that would save a lot of time and improve your business productivity. Todoist is an extension that acts like a task manager. You can set reminders, track critical projects, assign tasks to your colleagues, and save articles, web-pages for future reference. It is compatible with the most popular web-browsers. Businesses can also use the Todoist Android and iOS application to access the task inbox while on-the-go. The communication that an entrepreneur sends to the prospect customers creates the first impression about the business. Thus, it is crucial to make sure that every message, document, and email that goes out is free of grammatical errors. Grammarly extension can prove to be a precious resource in ensuring the same. This extension is suitable for English and American grammar. The free plan lets users access the basic features. However, if you are looking for advanced tools like plagiarism checker, you need to subscribe to their premium plan. Besides Chrome, the extension is also available for Safari and Firefox users. The adoption of WhatsApp messaging is helping firms to connect to prospect customers quicker than before. Even the consumers prefer communicating with businesses using the messaging app. But, after attending inquiries from hundreds of users on a daily basis, companies find it difficult to save the contact numbers for future reference. InTouchApp Chrome Extension makes this task effortless. The user needs to install the Chrome Extension on PC and its phone app in the handset on which the numbers need to be saved. 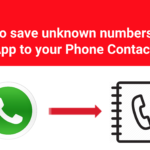 After following a simple registration procedure, the InTouchApp icon appears in the WhatsApp Web interface, and the user can start saving unknown numbers within seconds. InTouchApp offers free as well as premium plans. Evernote surely makes it in the list of top five versatile note-taking tools. The extension allows users to snip and share information effortlessly. You can store the selected content in the Evernote inbox in many ways. The extension enables users to save the entire webpage, or create a quick note by saving a portion out of the content, including images. The usual bookmark and link copying option is also available. Evernote Web Clipper helps businesses to save a lot of time spent on clipping pieces of content from web pages, as well as business-related emails. It supports all the popular browsers. You can also download the Android and iOS apps to access your Evernote inbox content on your smartphones. The developer offers free, premium, and business subscription packs. Lastpass extension is a secure vault that can store your passwords and login details for various sites. Entrepreneurs don’t have to worry about remembering passwords or spend time on resetting the same with this tool. From the passwords for your company’s shopping profiles on online shopping portals to your firm’s LinkedIn profile password, Last Pass free edition can remember all the login details without breaking the bank. The extension’s password manager and digital vault (user interface) are protected with two-factor authentication. The extension can also be used in the form of iOS and Android application. LastPass extension is available for Chrome, Firefox, IE, Safari, and Opera. Do you use any of the extensions? How does it help you? Mention in comments below!